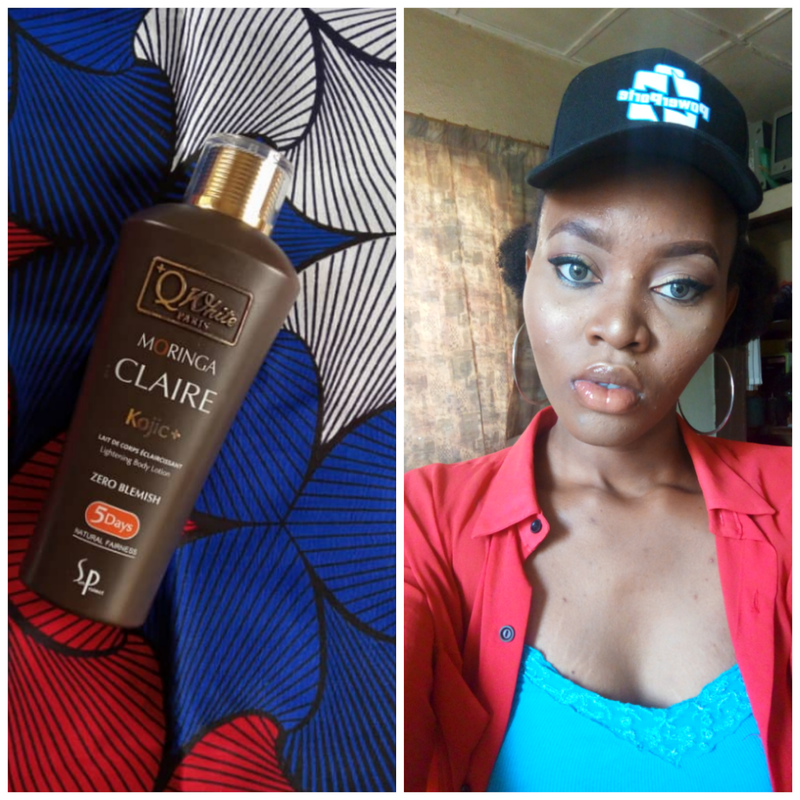 IS Q WHITE PARIS MORINGA CLAIRE KOJIC+ ZERO BLEMISH A BLEACHING CREAM? - Pretty Mundne!!! Home / cream review / IS Q WHITE PARIS MORINGA CLAIRE KOJIC+ ZERO BLEMISH A BLEACHING CREAM? Hello readers, welcome to today's blog post. 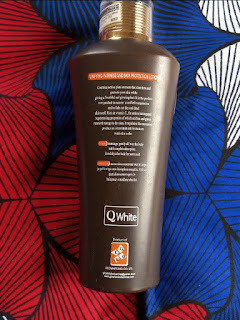 If you are here you are probably like me who is constantly on legedize Benz (by Gods grace we go soon buy real Benz) and just want to make sure to keep your skin on fleek or maybe just looking for a safe way to tone your skin and would like to know if the Q white moringa claire actually works. Well, in today's blog post I am going to be sharing my personal experience with this product and I will also be letting you know if it is in anyway a bleaching cream or if it even works. 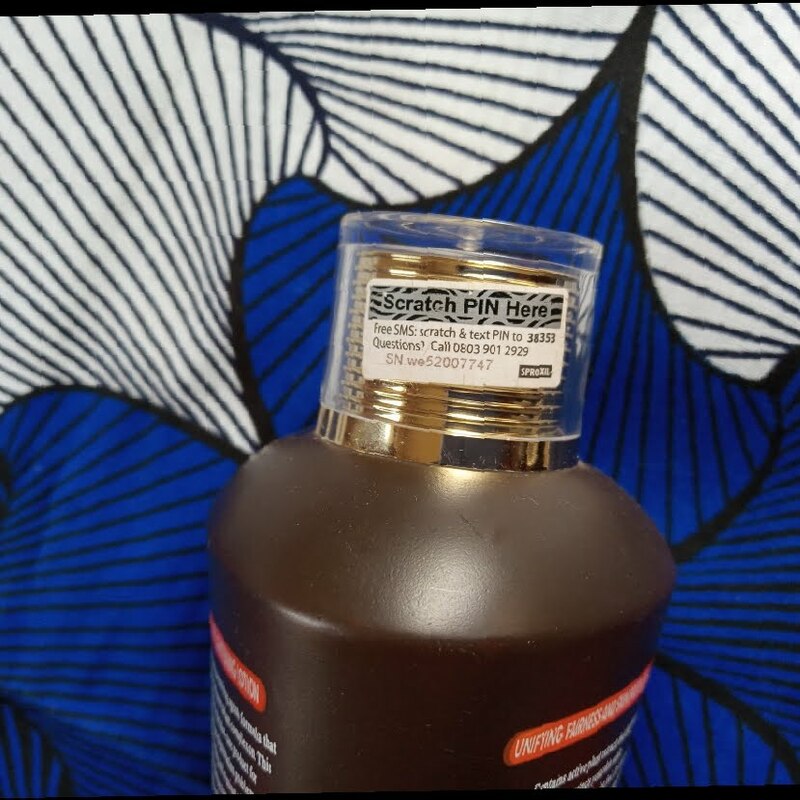 I bought this moisturizer at my local beauty store for 3500 naira. 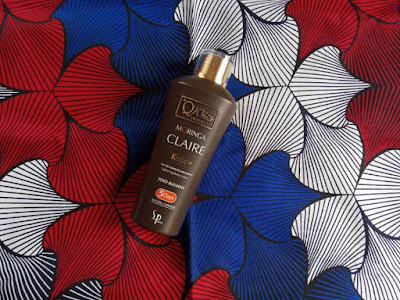 The Q white moringa claire kojic + zero blemish natural fairness lotion claims to reduce blemishes in 5 days. It says the clarifying properties and moisturizing agents formula that promotes visibly brighter and more radiant complexion. This fruit - fragrance lotion is the ideal care product for people suffering hyper pigmentation products. For optimal result, use morning and evening after shower. 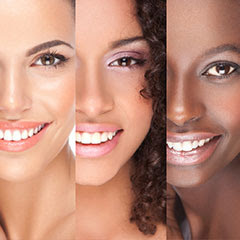 NOTE; Avoid sun bathing during the treatment as this may lead to increased hyper pigmentation. Contains active plant extracts that clarifies and protects your skin while giving a youthful and glowing feel.It is the product care product to recover a unified complexion and to fade out dry and dead skin cell. Rich in vitamins C, the anti oxidation and regenerating properties of which unifies and gives renewed energy to the skin, It regulates the excessive production of melanin and revitalizes skin cells. USAGE: Massage gently all over the body until complete absorption. Use daily after bath for best results. 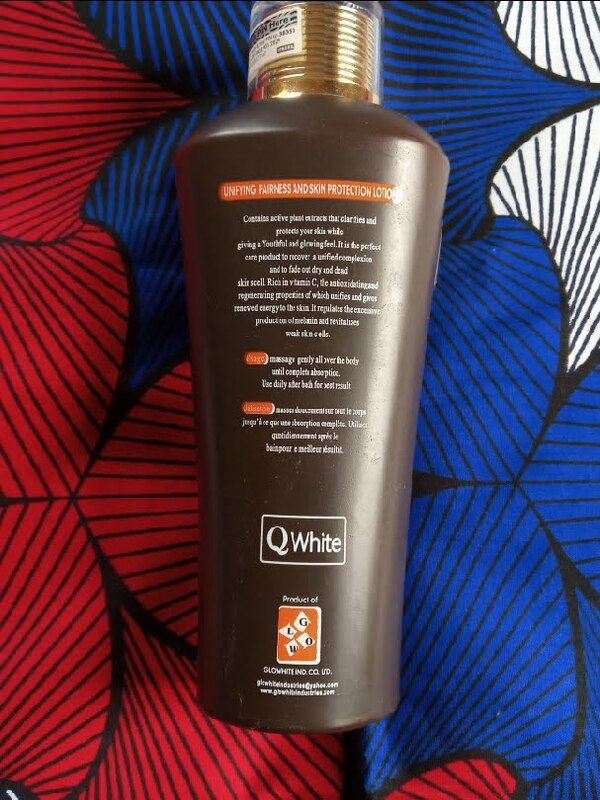 The Q WHITE lotion cast 400naira and is a white creamy liquid..
First of I have to acknowledge the fact that the packaging of this lotion is very pretty, it's simple but really attractive. 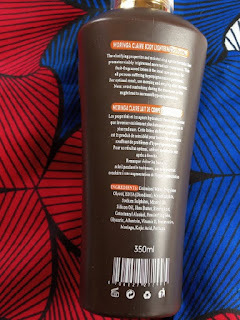 Secondly, I like the fact that each bottle comes a code which you could scratch and send to ensure that the cream is original, this is always a plus because there are so many fakes in the market right now, so its always good to know when you are buying fakes. This moisturizer is great and it honestly does exactly what it says it does..I had some blemishes that I was looking to clear out and it did that and I started seeing results in about 6 days. I am also using a body wash which also helps with the spots but this is like the icing on the cake for me. I do feel like it is quiet pricey for the size but as they say "better soup na money kill am". It says on the pack that it is fruit scented but that's quiet untrue, I didn't scent anything while using this but that's not at all an issue for me. this moisturizer is not bad at all. Overall I will give this lotion a whooping 4 stars out of 5.. Please whatever questions that you may have about this lotion below and I will surely get back to you.. Thank you for reading..